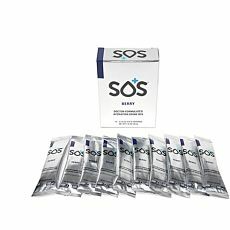 SOS Rehydrate V2.0 is a fast-acting electrolyte replacement and hydration drink that helps combat dehydration caused by active lifestyles and physical performance. Available in easy to use single serve sachets, each serve gives you high dosing electrolytes including 660mg of Sodium, 390mg of Potassium, plus a small amount of Magnesium citrate, with natural colouring and the natural sweetener Stevia. SOS Rehydrate V2.0 is a fast-acting electrolyte replacement and hydration drink that helps combat dehydration caused by active lifestyles and physical performance. Available in easy to use single serve sachets, each serve gives you high dosing electrolytes including 660mg of Sodium, 390mg of Potassium, plus a small amount of Magnesium citrate, with natural colouring and the natural sweetener Stevia. Coupled with a small amount of sucrose and glucose you get maximum electrolyte replenishment during or after training and events without any artificial sweeteners, colours, flavours or preservatives. SOS uses a scientific method of oral rehydration therapy and water absorption which follows standards set out by UNICEF and World Health Organization. 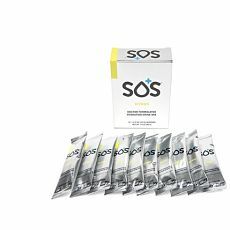 The SOS drink mix has been found to be as effective as an IV drip for mild to moderate dehydration in active lifestyles, but safer and cost effective. Sports and Energy drinks are often sugary and do not contain the correct amount and balance of electrolytes and glucose, SOS has 75% less Sugar than regular sports drinks, so you get more of what you need and less of what you don’t. SOS is gluten free and has been used efficiently by SOS’ers with Celiac disease. Sold in 4.6gram sachets, 10x sachets per box. Sports drinks are ineffective at combating dehydration since they do not contain the correct amount and balance of electrolytes and glucose. SOS has the perfect mix of them for optimal hydration. Osmolarity is the balance between sodium and water in the body, and the lower it is, the better it is for rehydrating you. SOS equals the global standard set by the WHO. A 2% loss in body weight due to dehydration can reduce athletic performance by 20%, due to a loss of energy and focus. Proper hydration can prevent this. Sports and Energy drinks are often sugary and do not contain the correct amount and balance of electrolytes and glucose. Sucrose, Sodium Chloride, Sodium Citrate, Potassium Chloride, Dextrose, Natural flavours, Natural Colouring, Malic Acid, Magnesium Citrate and Stevia. Osmolarity 230 mOsm/l. SOS ingredients have been specifically balanced and formulated for rehydration. We use no artificial sweeteners, colours, flavours or preservatives. During a normal day we lose about two litres of water just through breathing, sweat, urine and bowel movements. When we exercise we can lose up to two litres per hour depending on the type of physical activity. Also, while sweating, we lose two main electrolytes: sodium (range 10-70 mEq/L) and chloride (range 5-60 mEq/L). Just a 2% loss in body weight due to dehydration can reduce athletic performance by a staggering 20%. 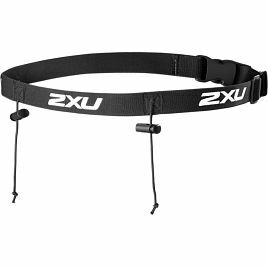 In addition, for every litre of fluid lost: your core temperature increases, heart rate rises, glycogen stored in muscles are used more rapidly, and lactic acid increases. When we first start to sense thirst, we are already 2% dehydrated. At this percentage, humans begin to develop headaches, tiredness and loss of focus. These factors alone contribute to a decrease in performance and will only grow the more dehydrated one becomes, along with the imbalance of electrolytes in one’s body. When fluid arrives at the first portion of the small bowel, the unique SOS formula activates the body’s Sodium/Glucose co-transport system. Osmolarity is the balance between water and sodium in the body. The body’s normal (isotonic) osmolarity is 290mmol/L. From a rehydration perspective, the lower the osmolarity, the faster the body can absorb water. High glucose concentrations can increase the osmolarity of drinks. SOS osmolarity is 230mmol/L, which means we are a hypotonic drink. That’s better than isotonic and hypertonic drinks when it comes to rehydration. SOS Osmolarity is 20% lower than the average hydration drink, 25% lower than the average coconut water, 50% lower than the average sports drink, and over 80% lower than the average soda. Then, one molecule of sodium is pulled from the small intestine into the blood vessels by one molecule of glucose; subsequently, due to osmotic forces in the body, water gets absorbed as it always follows sodium. The ‘Sodium Glucose co transport system’ was discovered by the medical community, and doctors use this system to treat mild to moderate dehydration, saving millions of lives all over the world. This method of delivery is called Oral Rehydration Therapy (ORT) and is fully endorsed by the World Health Organization (WHO) and UNICEF. SOS equals the global standard set by the WHO. We have also been able to lower the osmolarity and stabilize the taste a complex challenge that no rehydration drink has managed to date. SOS can be compared to an IV drip. It works just as rapidly but is safer and cheaper than intravenous therapy at treating mild to moderate dehydration. When should I drink SOS? 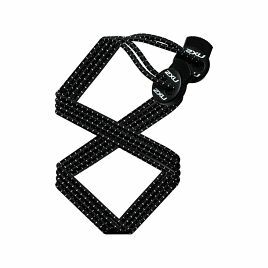 engage in a tough workout, or getting ready for a night out, don’t forget your SOS! Who should not use SOS? not be consumed by children under 1 year old. SOS is not recommended for those with sedentary lifestyles, unless they suffer from mild to moderate dehydration. Is SOS approved for use by the FDA? all regulations for food consumption and production. Is SOS approved for use by WADA? are frequently audited to ensure that SOS is safe for any athlete that gets tested by WADA as part of their sport. What do I mix SOS with? SOS should only be mixed with clean water. Each sachet contains enough ingredients to be mixed with 16.9 fluid ounces (500ml) of water. Always ensure that the product is well mixed and consumed within 24 hours of preparation. How good is SOS for a hangover? you. In fact, for every 1 gram of alcohol consumed, urine excretion increases by 10 millilitres. After an evening of alcohol consumption, we recommend drinking one SOS just before going to bed and one SOS next morning. This is lifestyle survival according to SOS! Where can I buy SOS? SOS is available online. Simply click the shopping cart icon on the top right of the screen. Also, the WHERE page will let you search your vicinity for our local rehydration stations. Can’t find SOS in your local store? Help us spread the word by sending an email so we can reach out to your vendors. What is the difference between SOS and sports drinks? the gut will pull water from the blood vessels into the gut instead of absorbing it; this is known as osmotic diarrhea. What’s the difference between SOS and energy drinks? artificial energy boost; they are not meant to rehydrate you. symptoms are tiredness, headaches, constipation, and light-headedness. Can SOS be compared with IV drips? complications like infections, avoid the painful IV procedure, and save a lot of money. Severe dehydration should be treated with an IV drip by professional medical staff. Diabetic people with active lifestyles can drink SOS to prevent and treat mild to moderate dehydration. SOS contains two types of sugars: sucrose and dextrose. 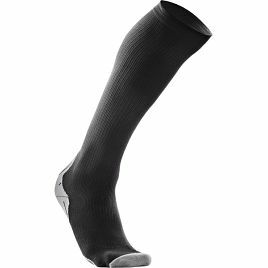 peak, which provides energy and water absorption enhancement. Dextrose is a complex sugar, which means that it takes longer to metabolize. Because of this, it won’t give you a glucose peak. Dextrose ensures a stable glucose level. No glucose peak = no insulin peak. Dehydration can cause headaches, irritability, weakness, dizziness, concentration impairment, tiredness, dry mouth, and more. Any of these symptoms may indicate that you are dehydrated. there are better ways of assessing dehydration! and clear urine in a correct volume, your body is hydrated. If you see a darker-orange colour, you are dehydrated. concentration. This is why it’s important to replenish the losses. However, too much sodium can cause swelling, and other complications. SOS provides the correct amount of sodium to replenish what you are losing. SOS is proper hydration: water+sodium+glucose. Fast rehydration, osmotic balance, energy source. Hydration is necessary for survival. Water is the most important element in humans, as a full 60% of our body is water. This vital liquid is involved in every metabolic process of our body. We can only live one week without it. difference between a good day and a bad one! Using SOS can help you keep performing at your peak. What causes me to get dehydrated during the day? Everyday, even when we don’t sense it, we are losing water through evaporation, breathing, and urine excretion. : Serving size 1 packet (@4.8g Citrus and 4.6g Blueberry) to mix with 250ml (8.5oz) water. Not a significant source of calories from fat, saturated fat, cholesterol, dietary fibre, vitamin A, vitamin C, calcium and iron.